Darragh Rodgers on Cork Panel for Under-21 Championship Game. 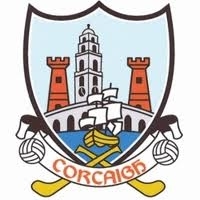 Congratulations to Brian Dillons player,Darragh Rodgers ,on his selection on the Cork under-21 Hurling panel for the Munster Championship game against Tipperary which will be played in Pairc ui Caoimh on Wednesday,6th June,2012 with a7.30pm throw-in. Despite many setbacks throughout the past two seasons with two cruciate operations and another injury picked up in the Cork .v. Laois game on Easter Monday last,Darragh has ,remarkably, managed to recover his full fitness and we wish him and the Cork team the best of luck against Tipperary.